I get lots of requests for recipes and I make a note of all of them. 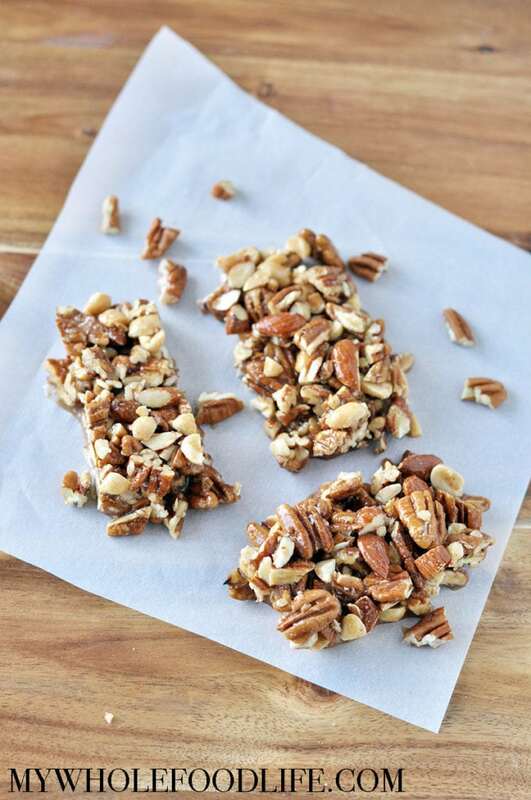 This Maple Pecan Sea Salt KIND Bars recipe was a reader request. This is my copycat version of the store bought KIND bars. I love the sweet and salty combo! All you need is 7 simple ingredients to make them. No baking required! These are perfect for snacking. This KIND bar recipe is vegan, gluten free and paleo. Also free of refined sugar. The sweet and salty combo make these KIND bars a great snack! Mix all the ingredients in a large bowl . Stir well. Pour mixture into a parchment lined baking pan. I used an 8x8 pan . Place in the freezer to set. About 2-3 hours. Once firm, cut into bars. Enjoy! These should last several weeks in the freezer. These are delicious but they crumble when I try to cut them. I packed down and froze 3+ hours. I wonder why they won't stay together? I am having same issue - what is the purpose of coconut oil ? I wonder if just maple syrup might work better ? I'm sorry you are having an issue. :( The coconut oil is to help bind. Should the nuts be measured before or after chopping?